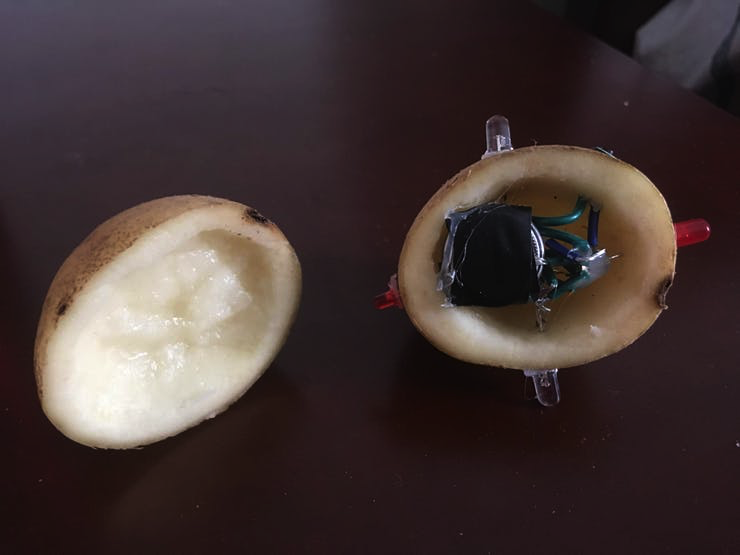 Make your very own Potato Badge « Adafruit Industries – Makers, hackers, artists, designers and engineers! It’s the winter break, and what better way is there to procrastinate on studying and university applications than to make your own badge! I was quite amazed by the quality of blinking badges I’ve seen online and I wanted to make my own that would stand out from the rest. Heck, I did not care if my badge would be the worst of the bunch, as long as it made people turn around and question its existence.